Martin Luther’s historical significance can hardly be overstated. Known as the father of the Protestant Reformation, no single figure has had a greater impact on Western Christianity except perhaps Augustine. In Luther on the Christian Life, historian Carl Trueman introduces readers to the lively Reformer, taking them on a tour of his historical context, theological system, and approach to the Christian life. 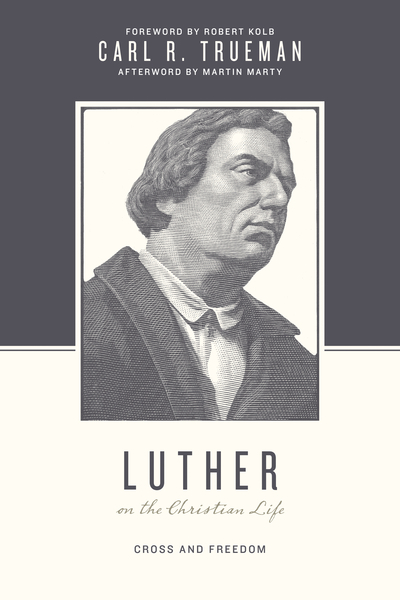 Whether exploring Luther’s theology of protest, ever-present sense of humor, or misunderstood view of sanctification, this addition to Crossway’s Theologians on the Christian Life series highlights the ways in which Luther’s eventful life shaped his understanding of what it means to be a Christian. Ultimately, this book will help modern readers go deeper in their spiritual walk by learning from one of the great teachers of the faith.